Display your patriotic pride all year round with this miniature replica of Old Glory. 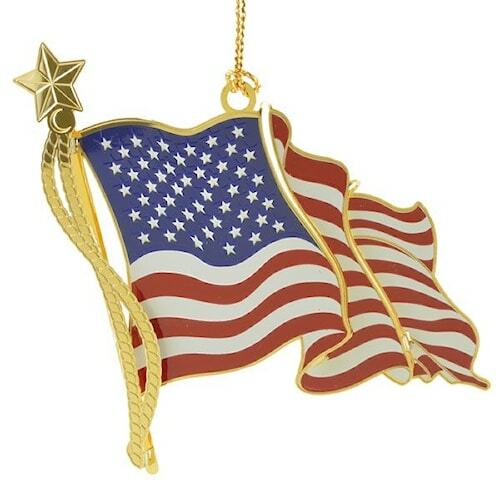 This beautiful ornament is finished in 24 karat gold and handmade in the USA. It is a perfect ornament by itself or when used to complement other Americana ornaments in your collection! This will make a wonderful gift for the patriotic person in your life - gift it with pride! 100% handcrafted in America. Comes in a gift box.